Starting with SCCM 1802, a new SCCM feature provides information about the current state of your environment. 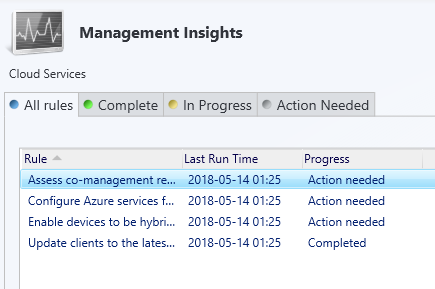 SCCM Management Insights analyze data from your site and help you understand your environment and take action based on the insight. This feature is quite… basic… for now but we understand where the PG team is heading with that and it will be a valuable feature in the upcoming releases. For now, there are 6 available rules: Application without deployment, Cloud Services, Collections, Simplified Management, Software Center and Windows 10. Each rule is evaluated weekly. You can re-evaluate a rule on demand by right-clicking the rule and selecting Re-evaluate. The logs file for Management Insight is SMS_DataEngine.log which is located on your SCCM server. 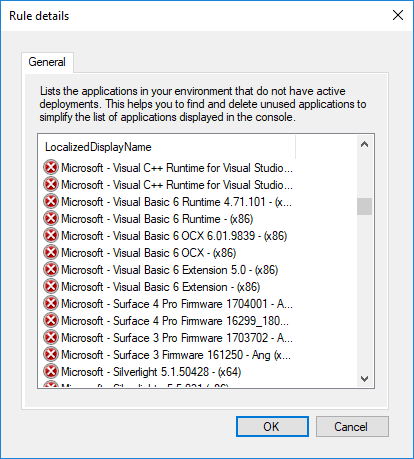 Lists the applications in your environment that do not have active deployments. This rule helps you find and delete unused applications to simplify the list of applications displayed in the console. 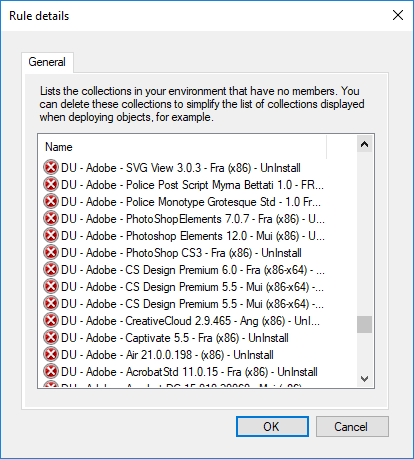 Use this list to clean up unwanted collections or use our script to automatically delete empty collections without deployments. 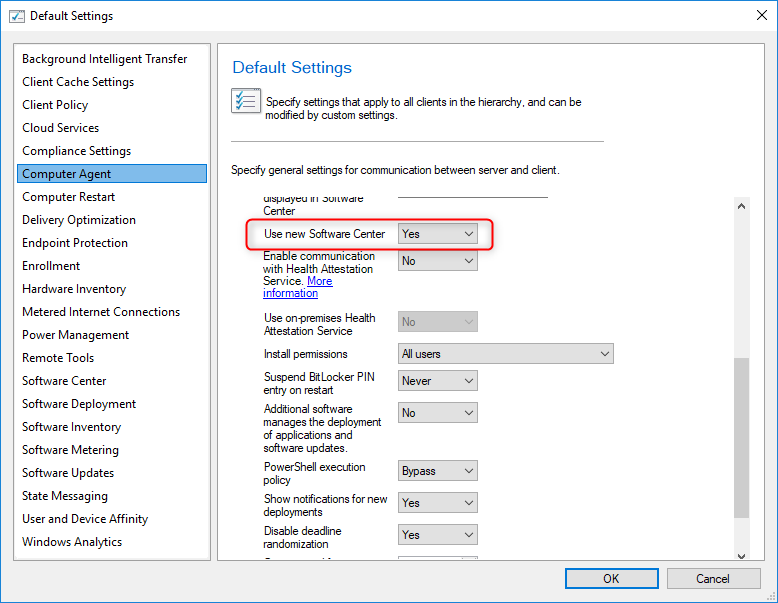 Set of rules to help integrate cloud services to your SCCM infrastructure. Lists collections in your environment that have no members. This rule is very useful as collections are one of the more resource intensive objects in your SCCM infrastructure. Use this list to update your clients to the latest version. 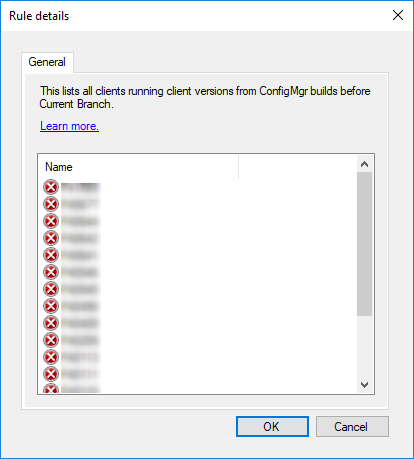 If you want to build a collection based on that, see our SCCM Set of Operational collections which included an All Clients Not Latest collection. Check if users have installed or requested applications from the Application Catalog in the last 14 days. Support for the Application Catalog website ends with the first update released after June 1, 2018. If you are not compliant on this one, we recommend redirecting users to Software Center instead of the Application Catalog. Since 1802, the previous version of Software Center is no longer supported.